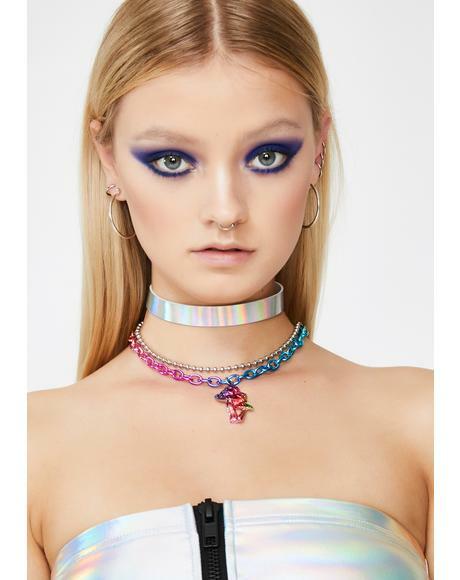 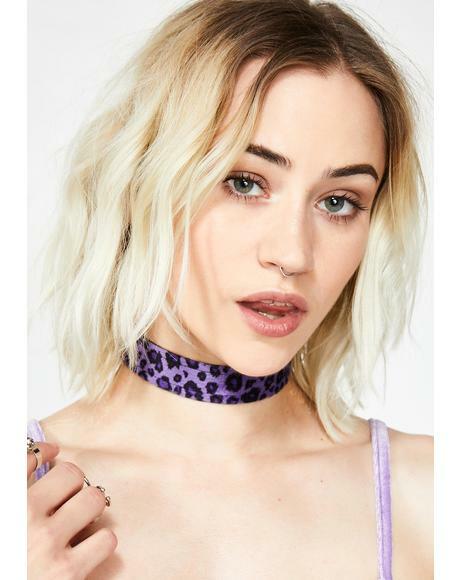 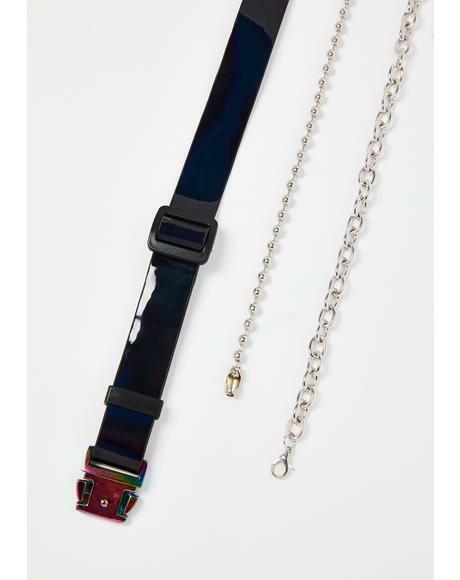 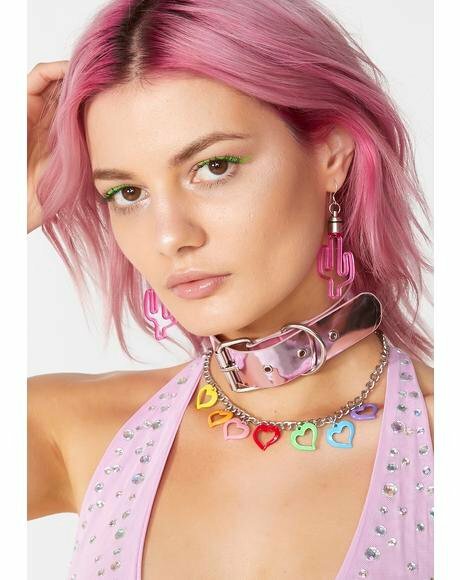 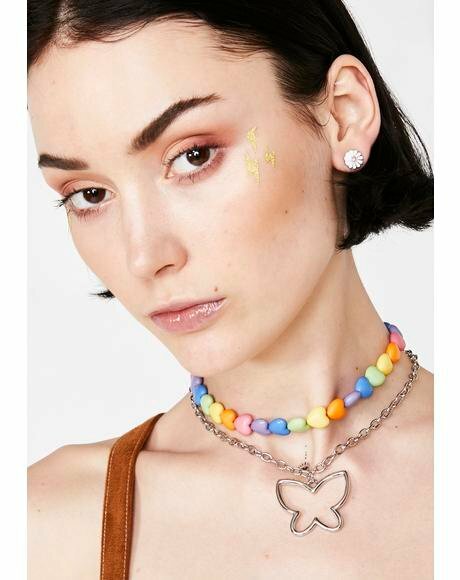 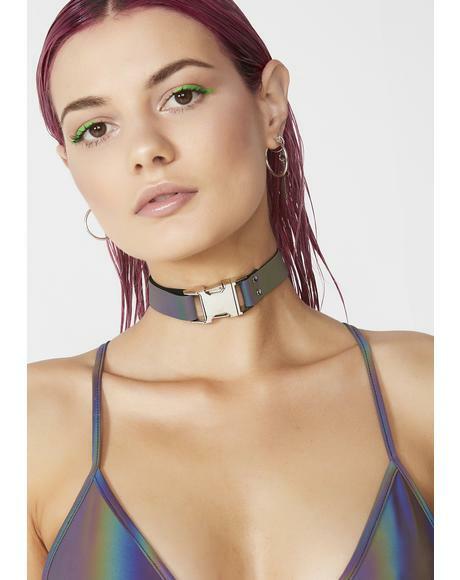 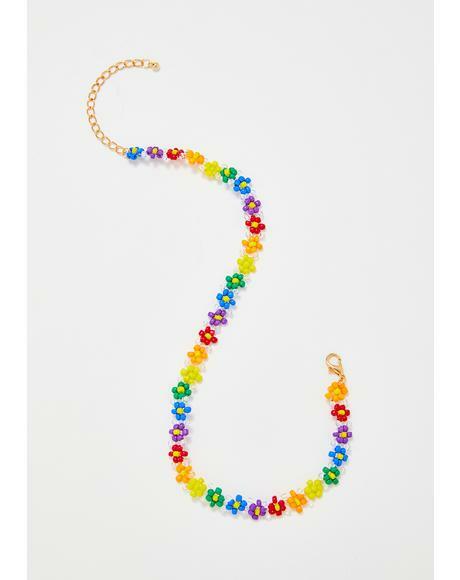 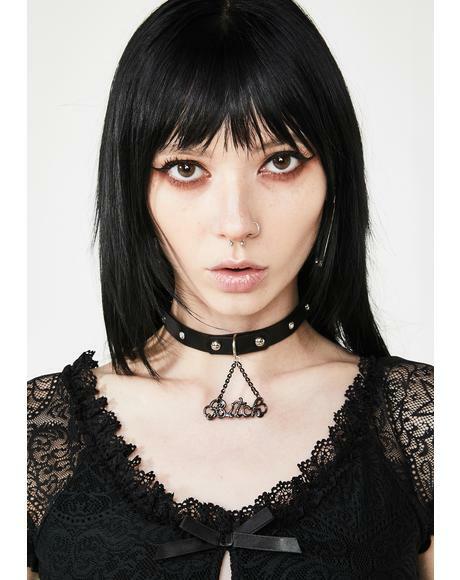 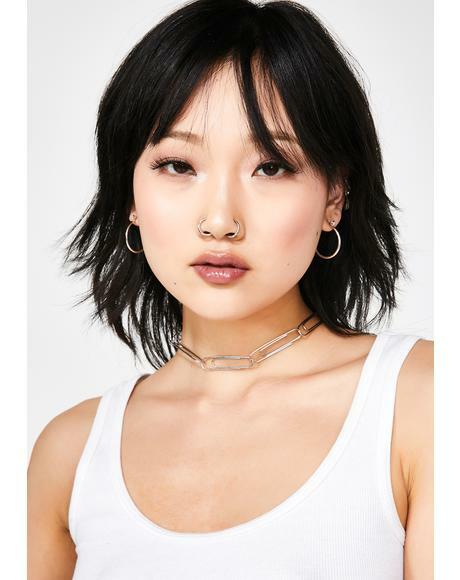 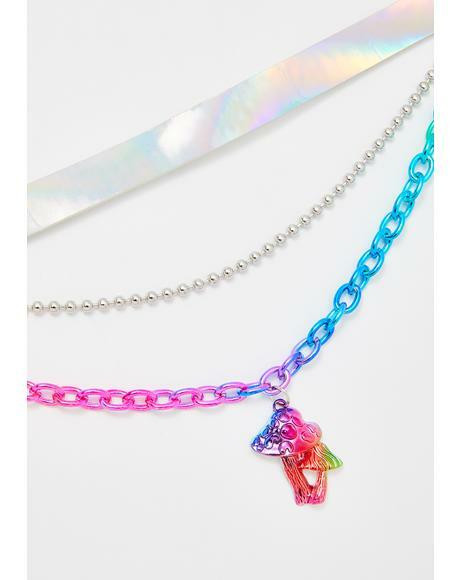 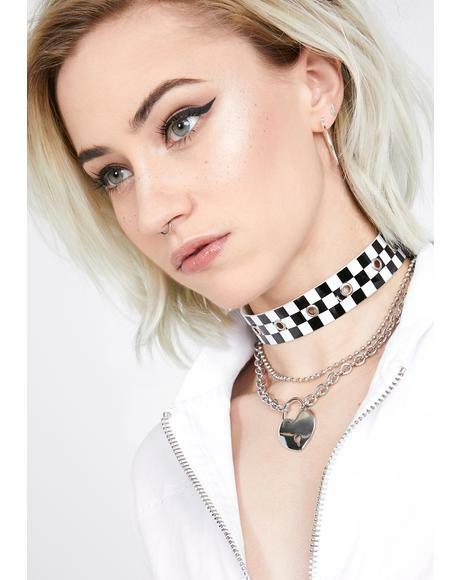 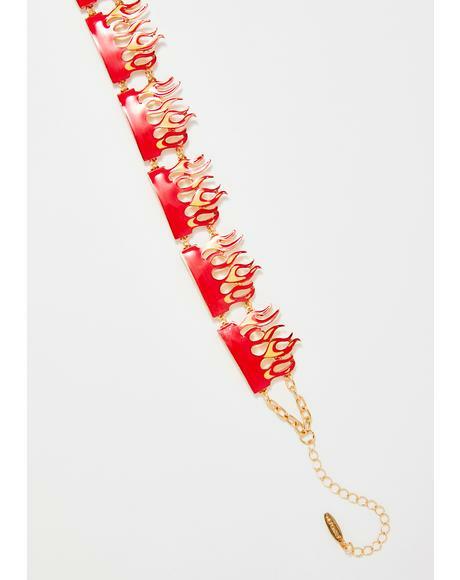 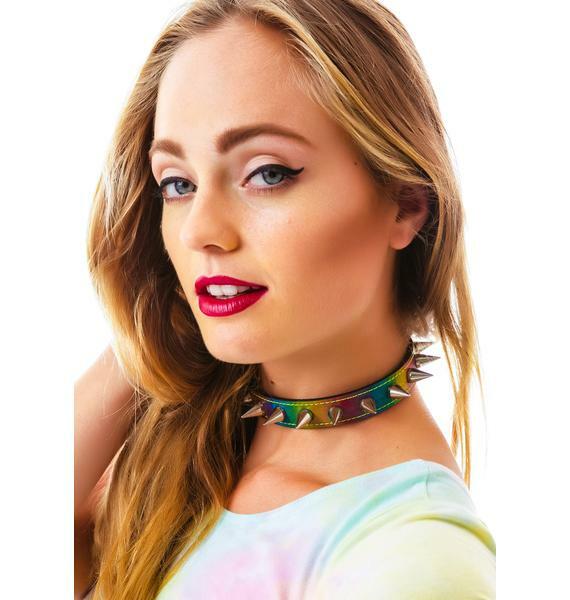 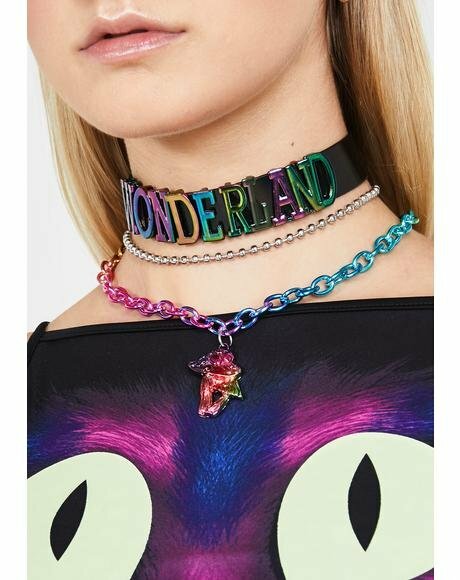 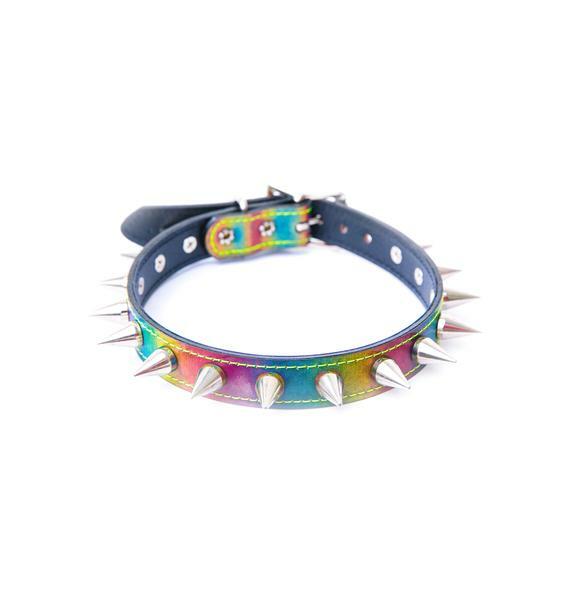 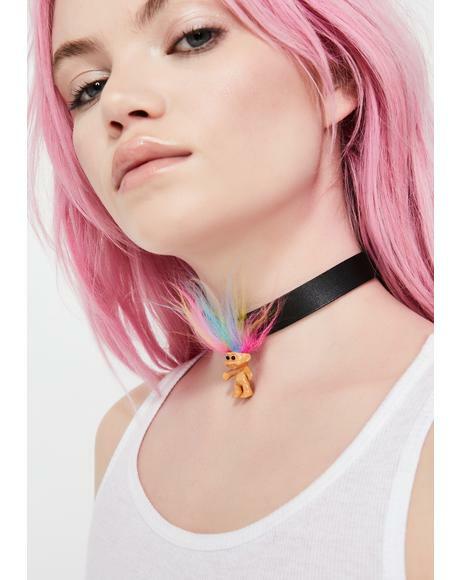 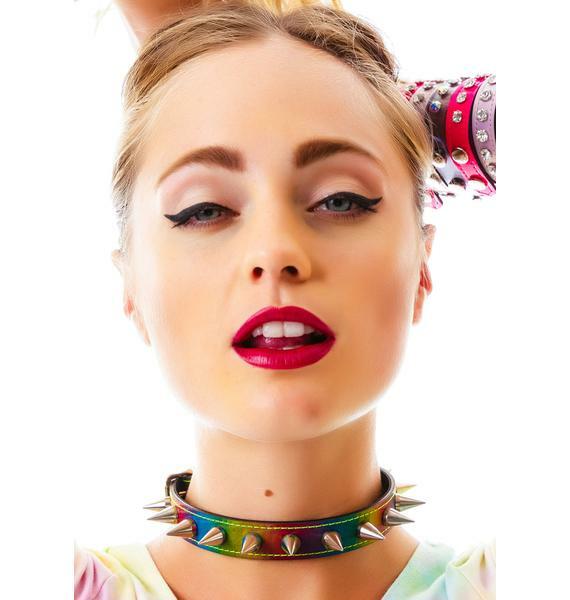 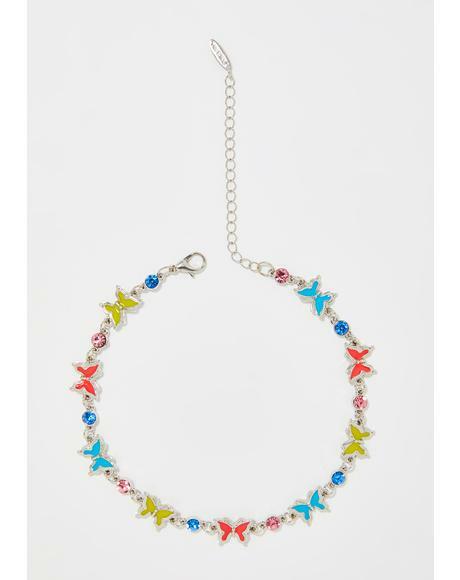 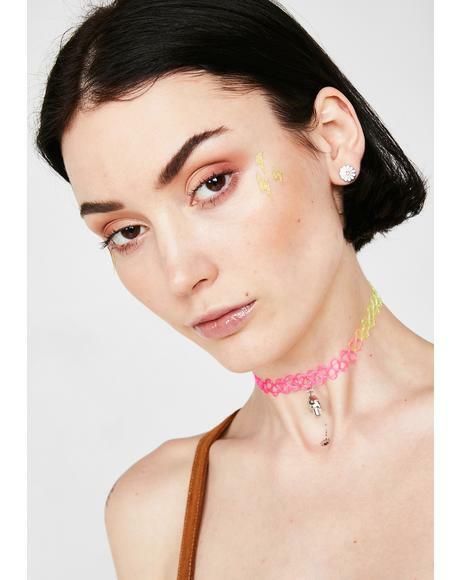 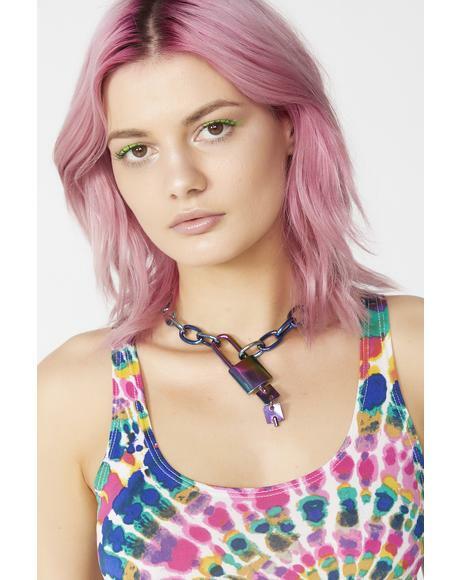 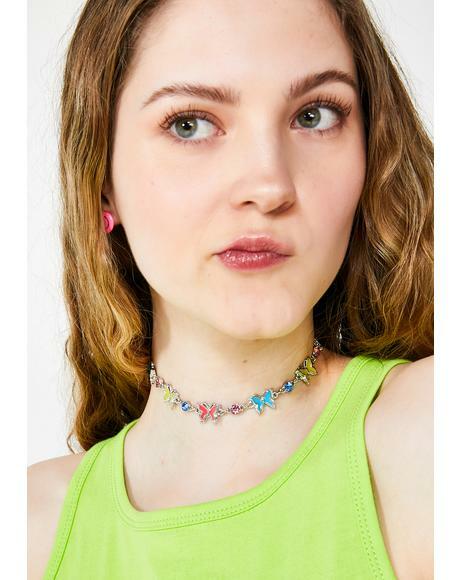 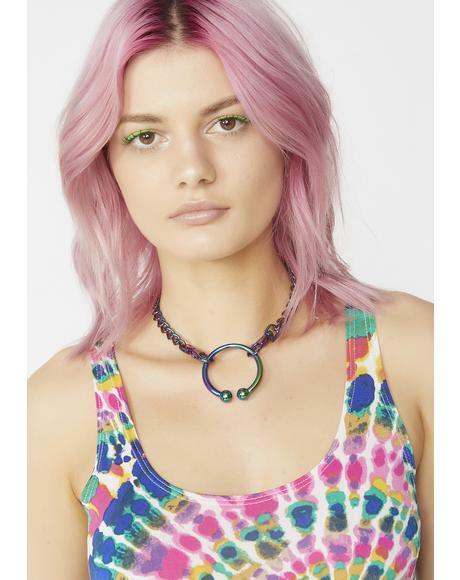 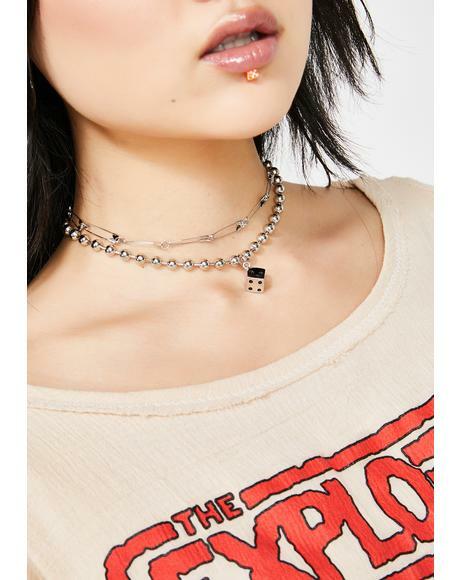 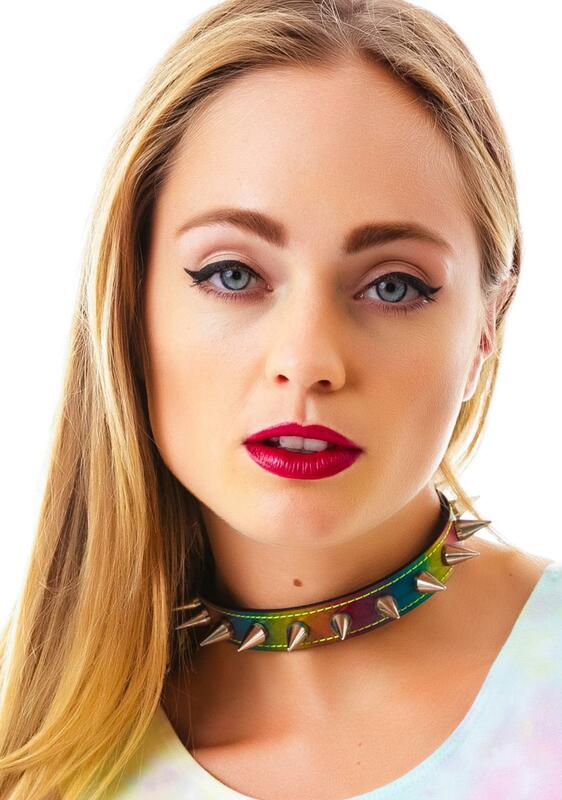 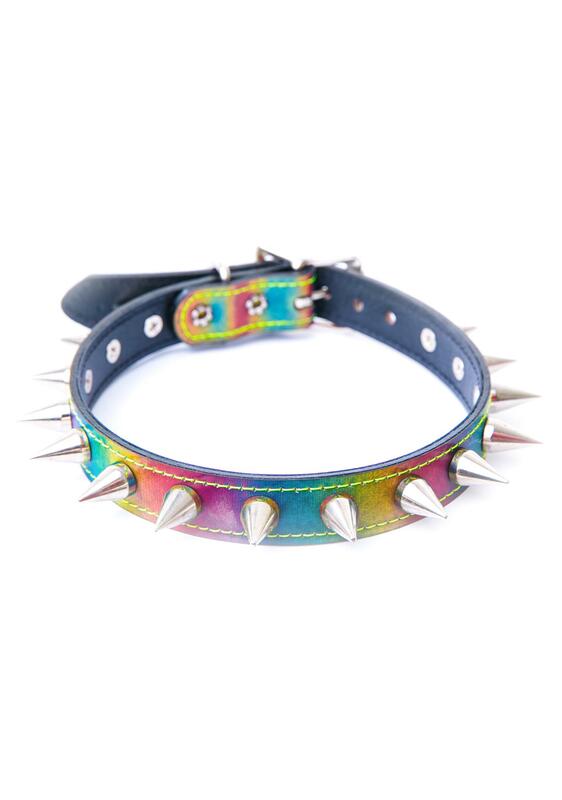 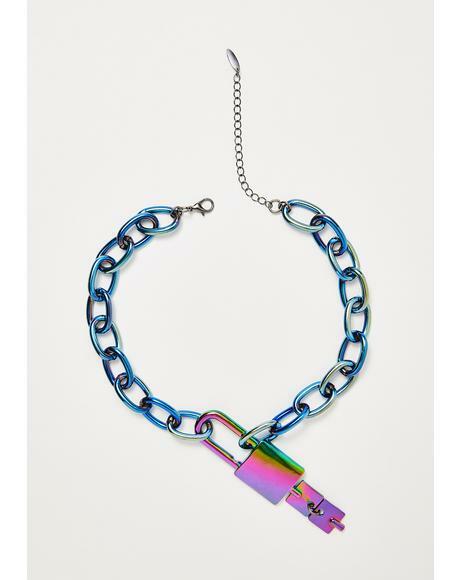 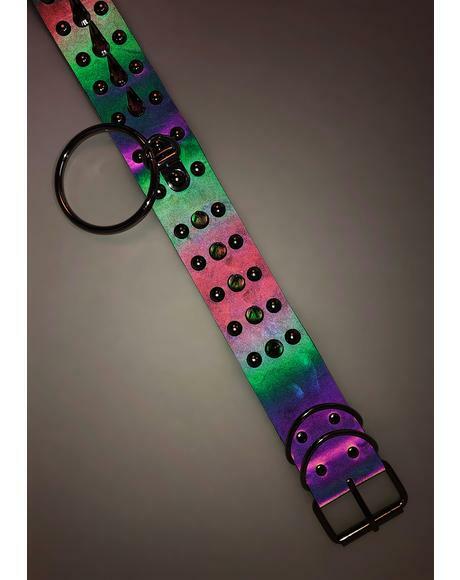 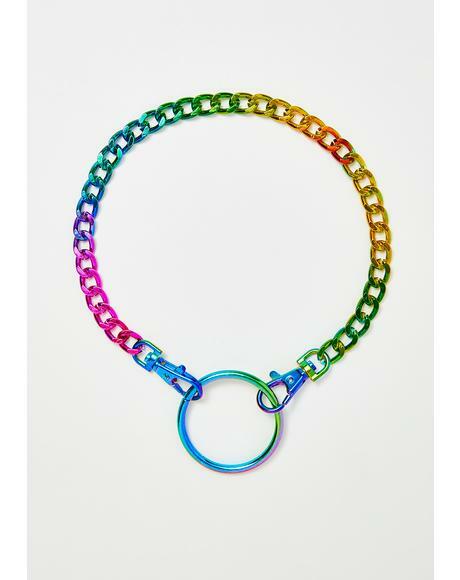 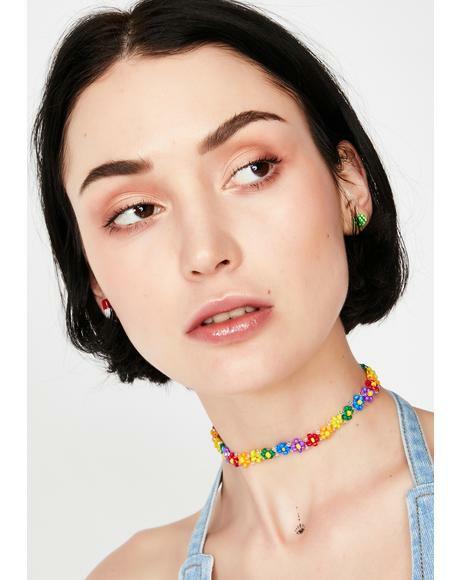 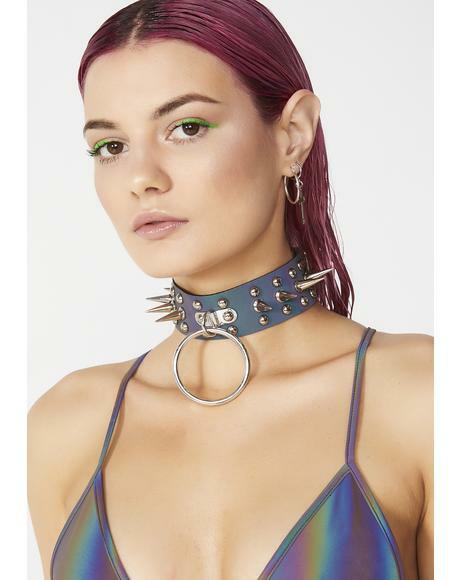 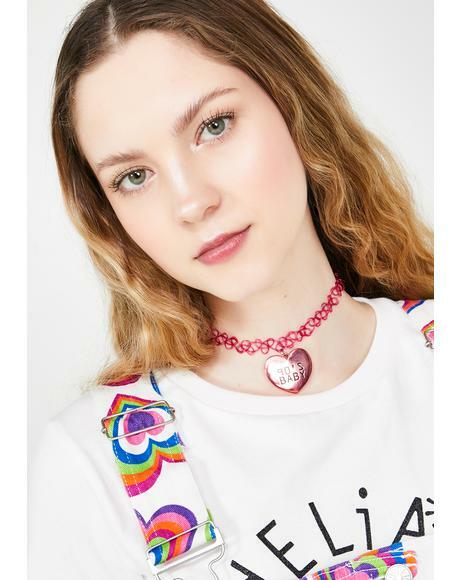 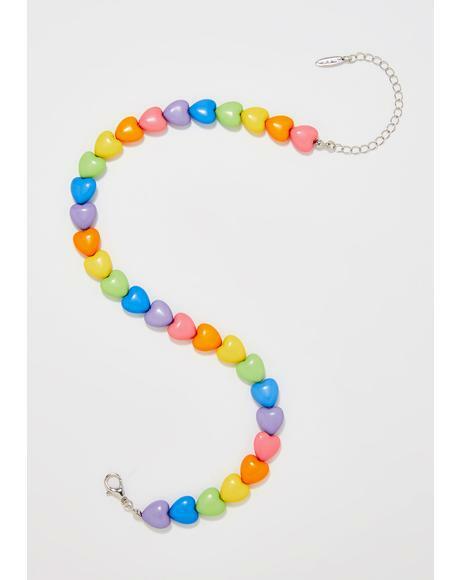 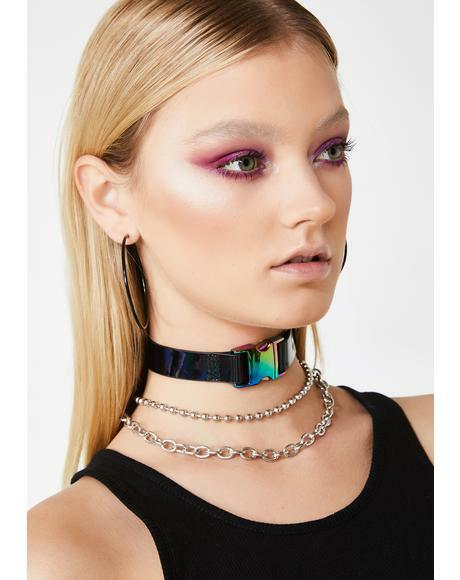 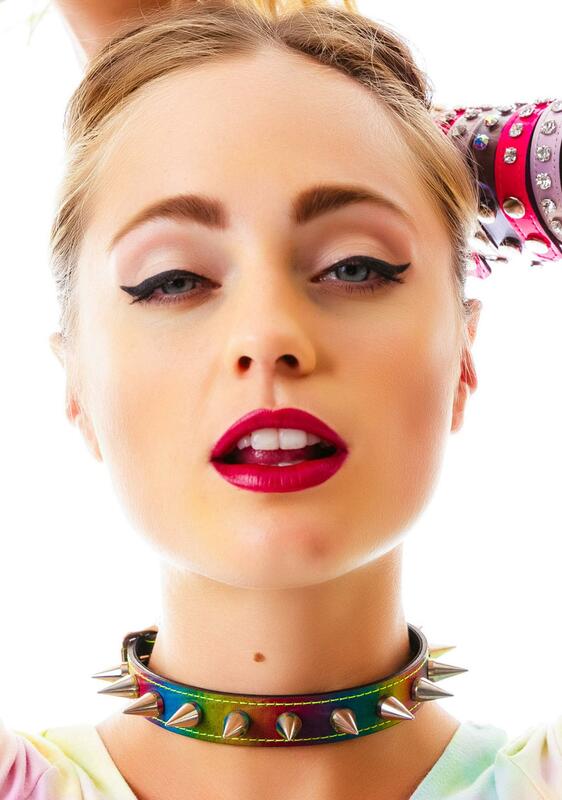 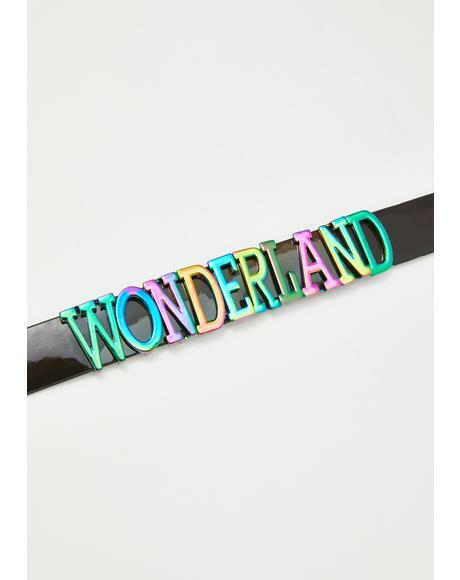 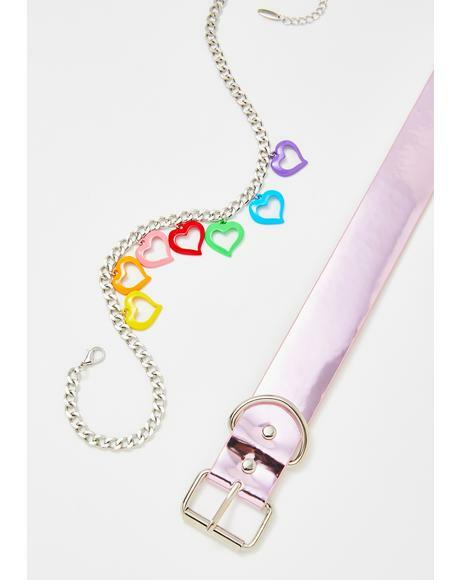 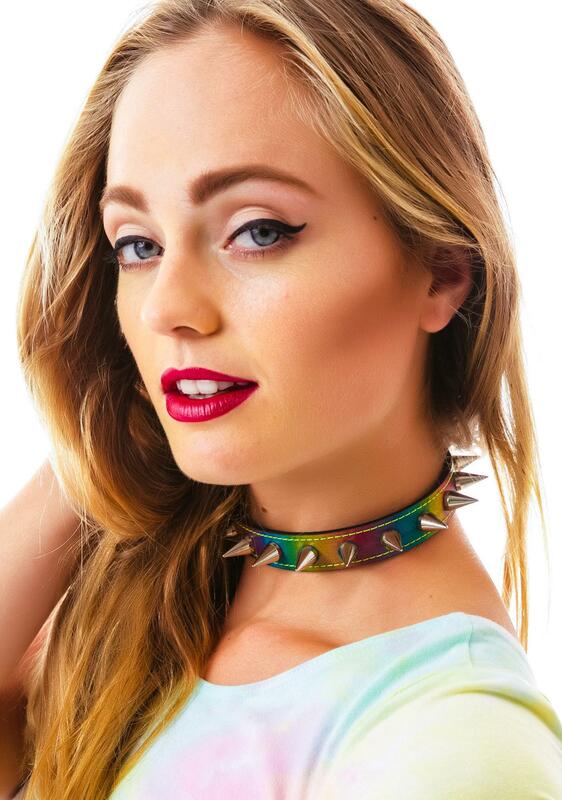 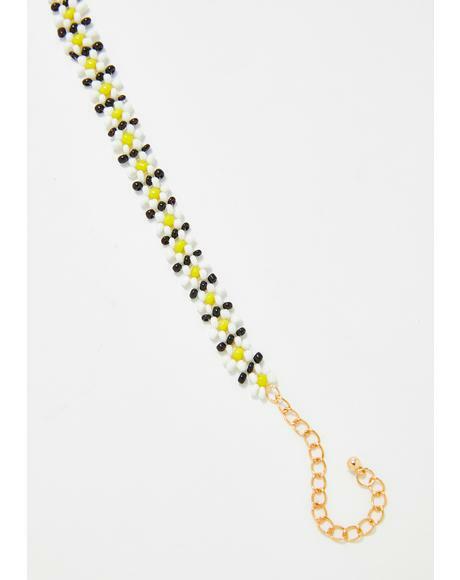 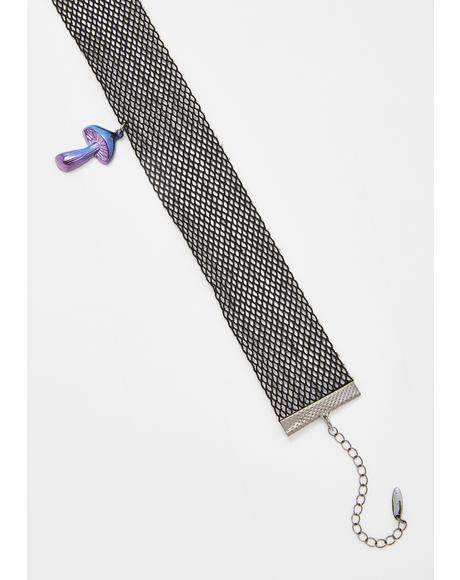 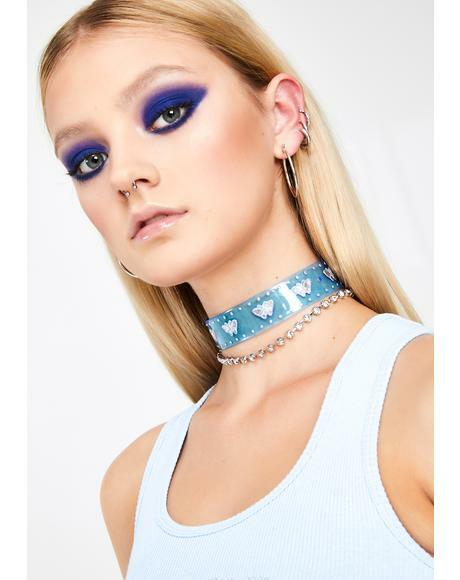 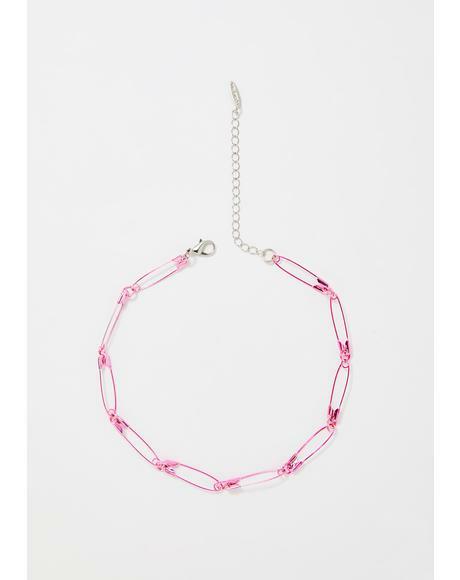 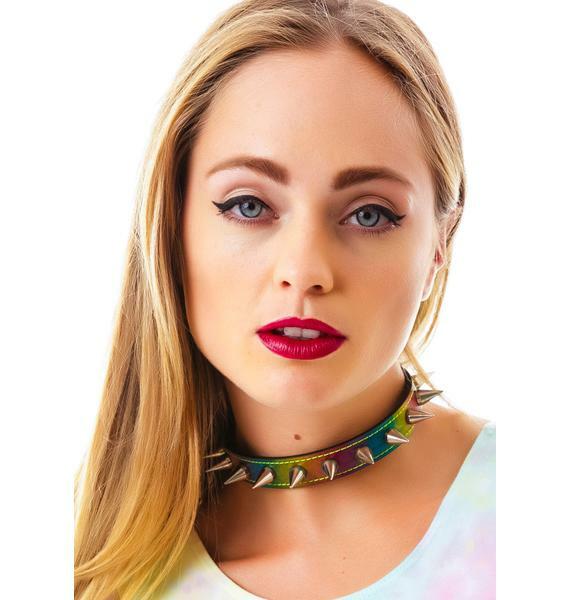 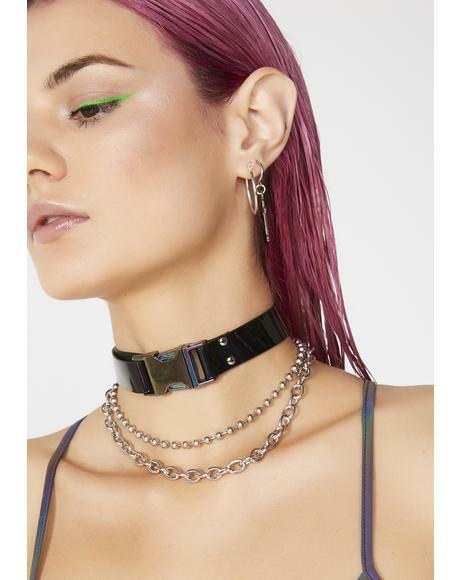 Rainbow All Spiked Up Choker we think yer energy is a thousand colors. 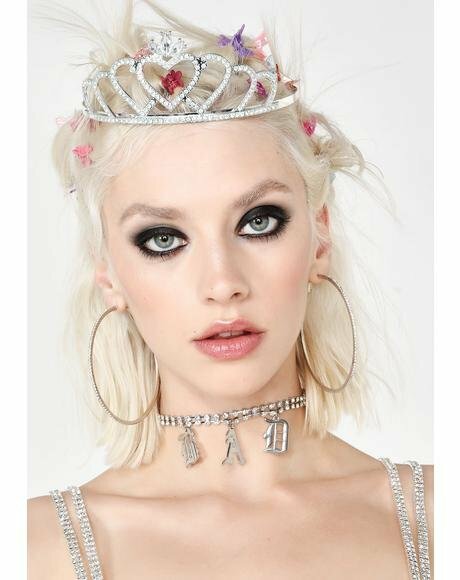 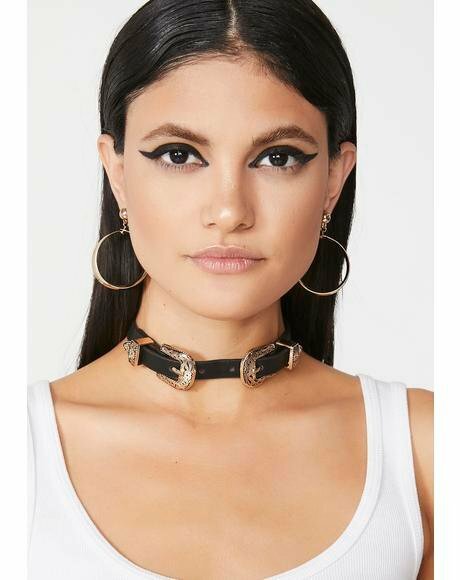 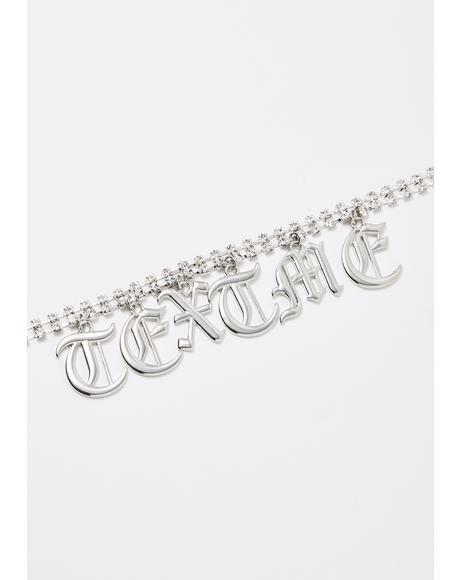 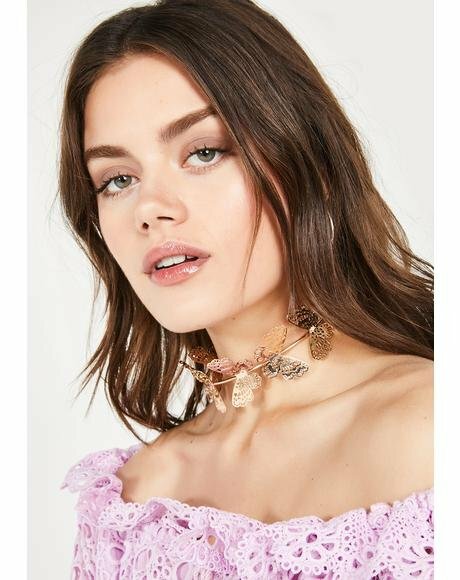 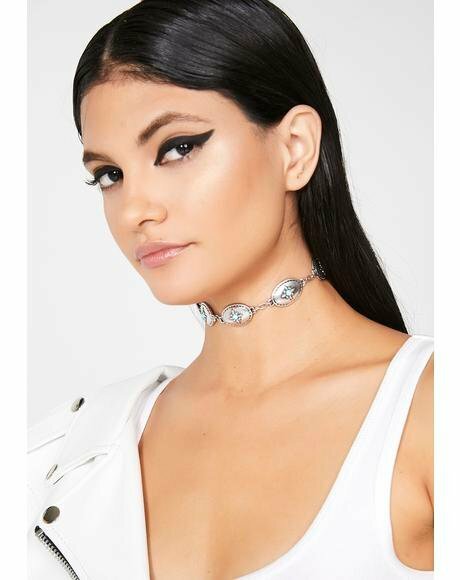 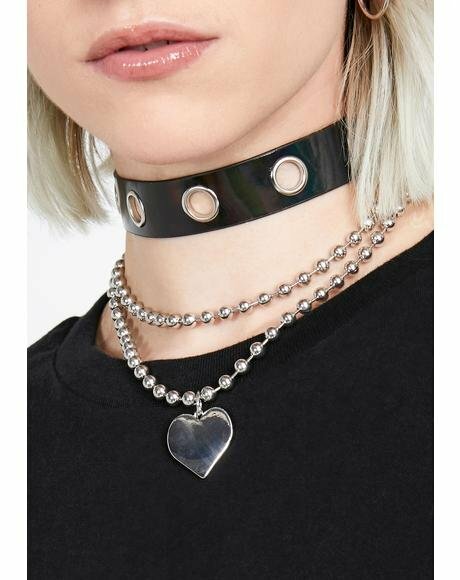 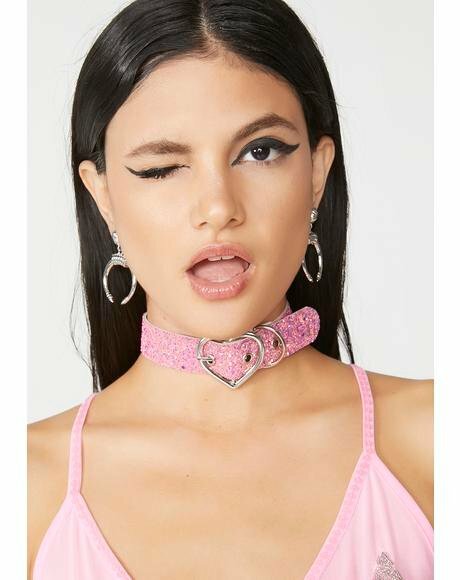 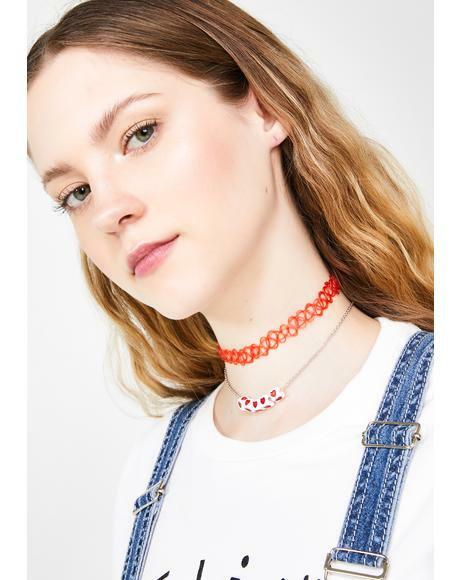 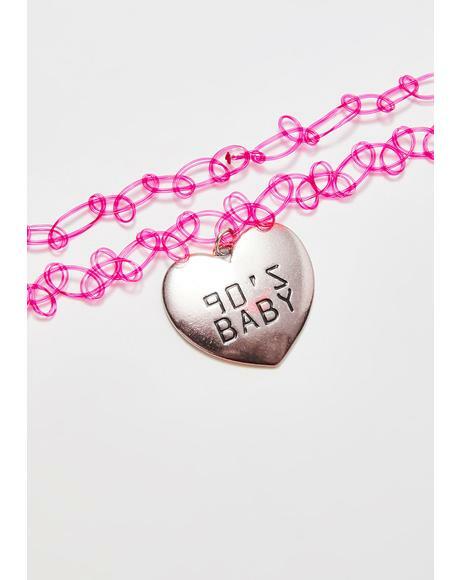 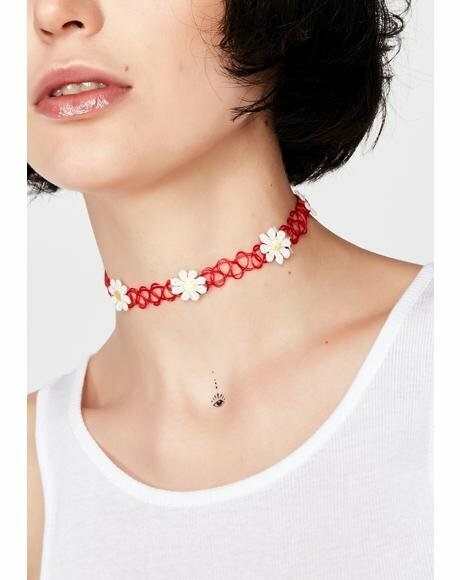 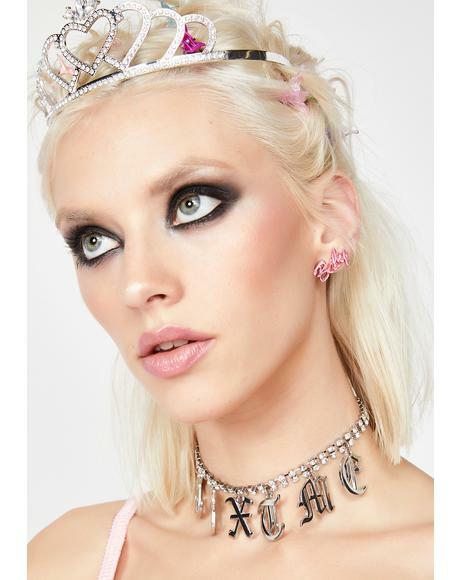 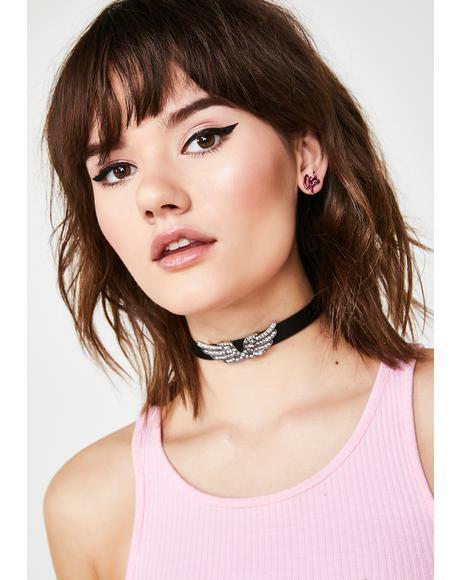 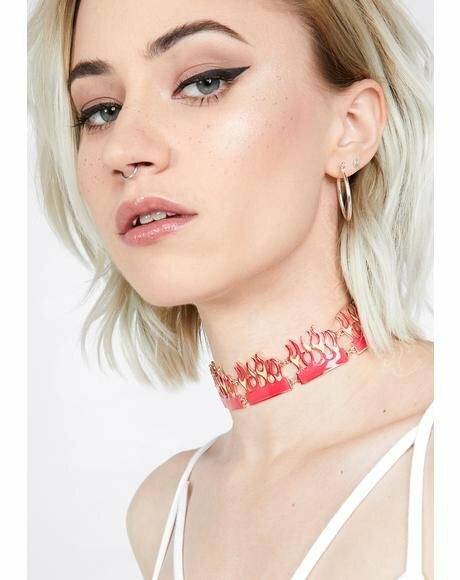 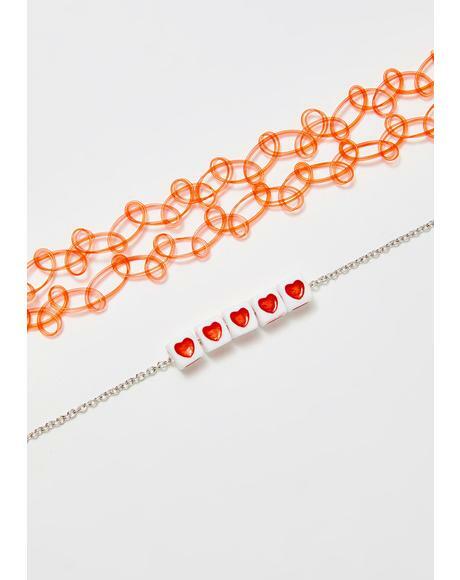 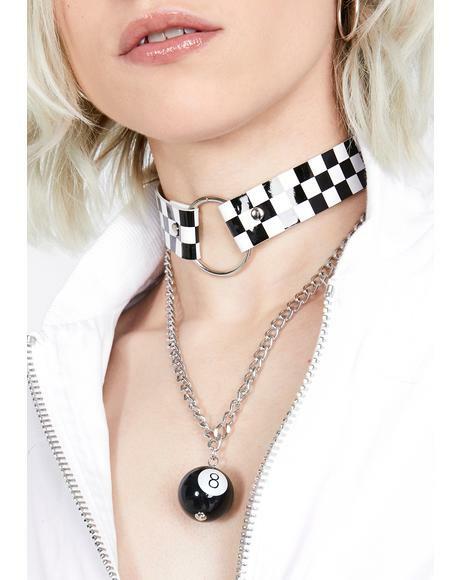 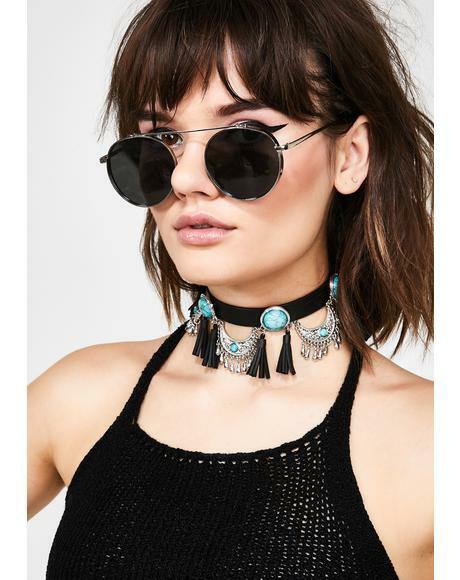 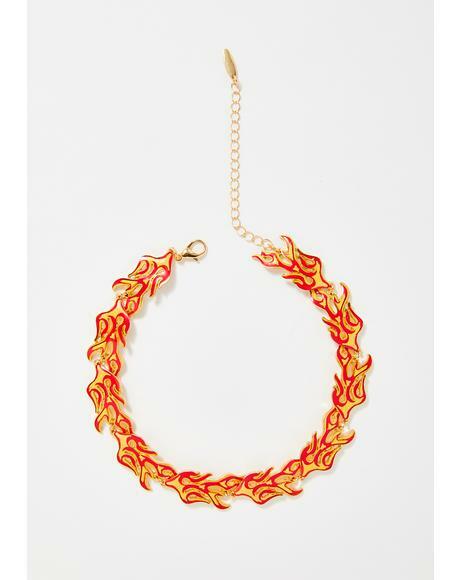 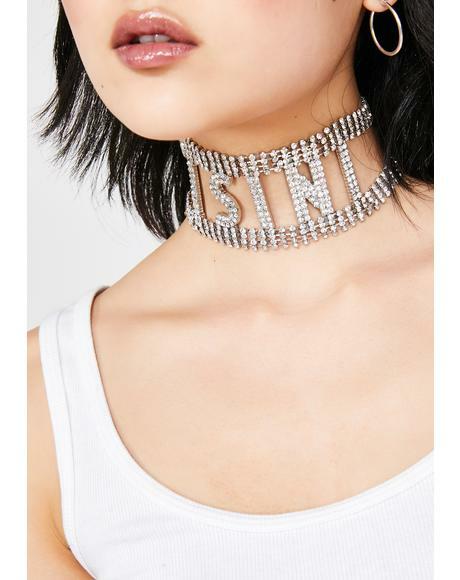 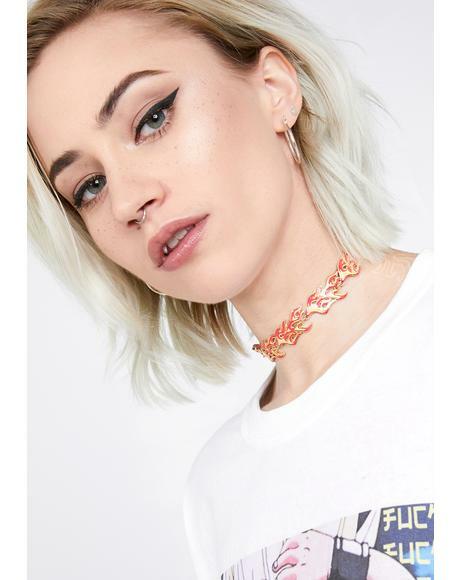 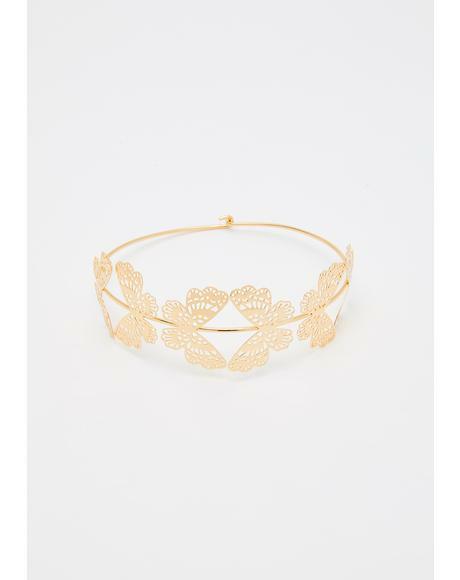 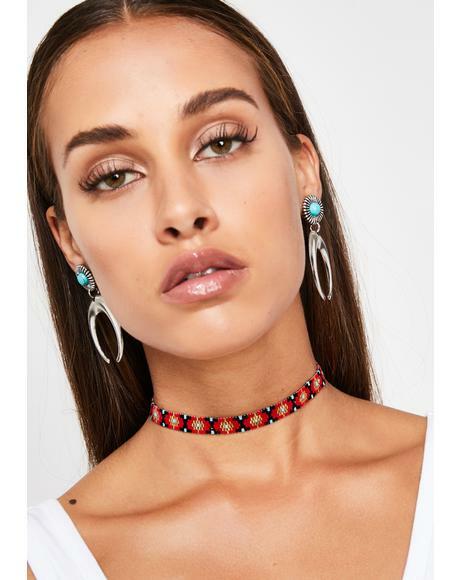 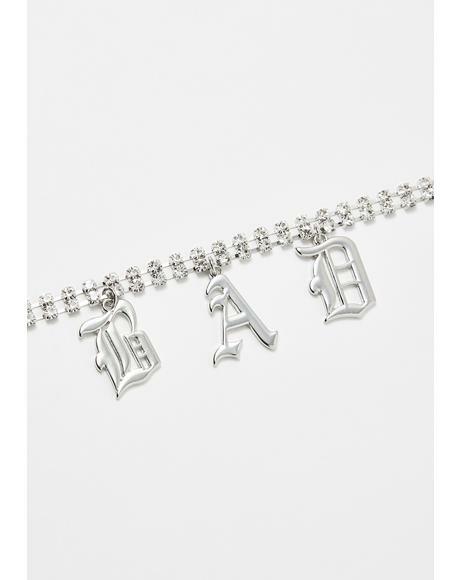 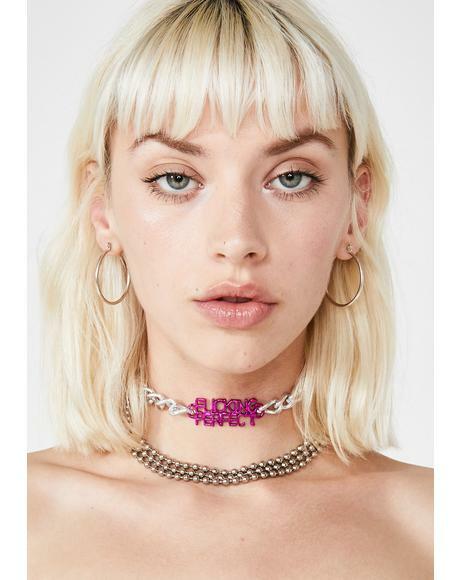 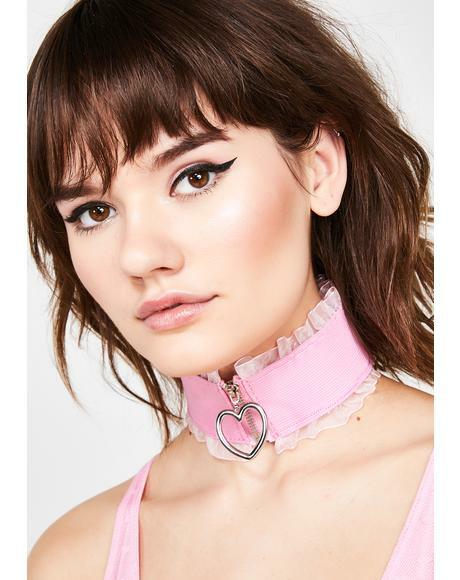 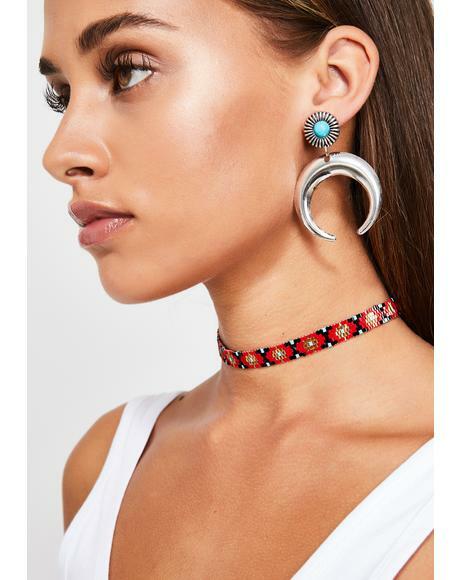 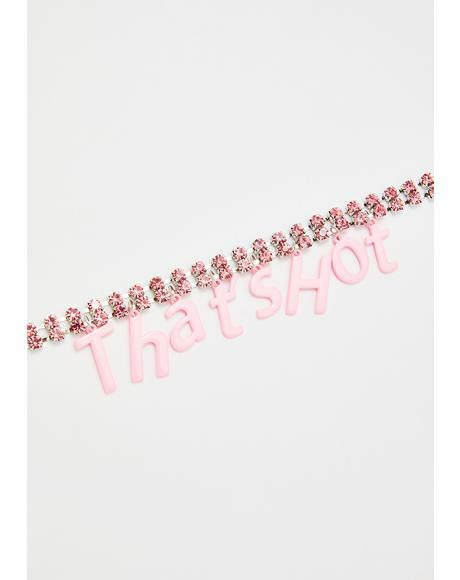 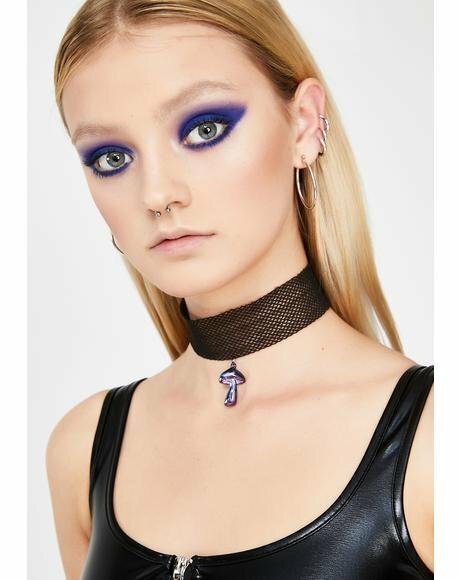 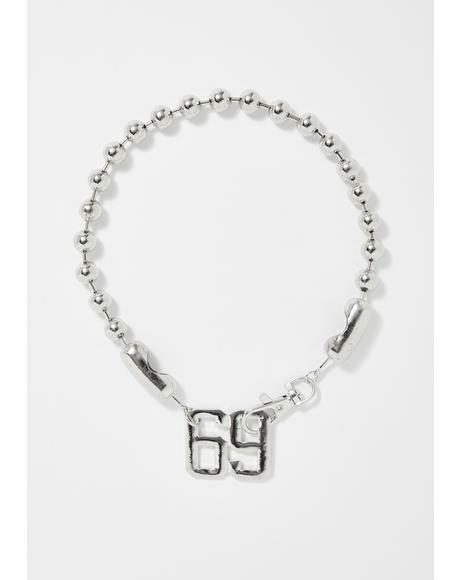 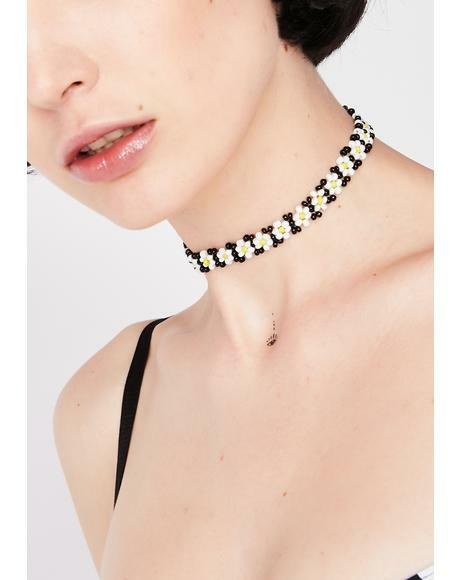 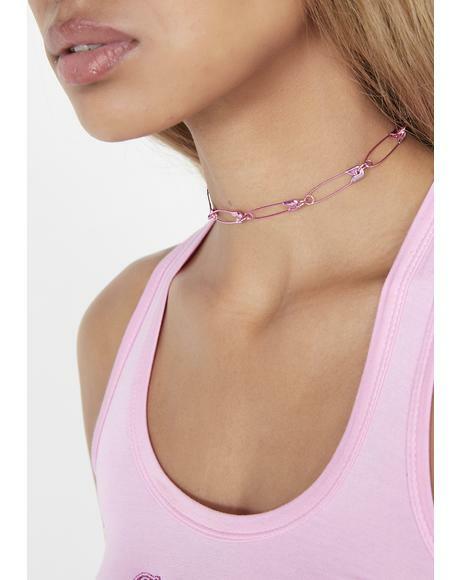 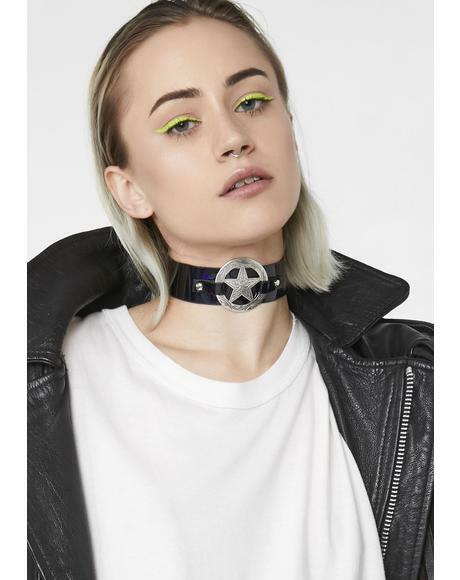 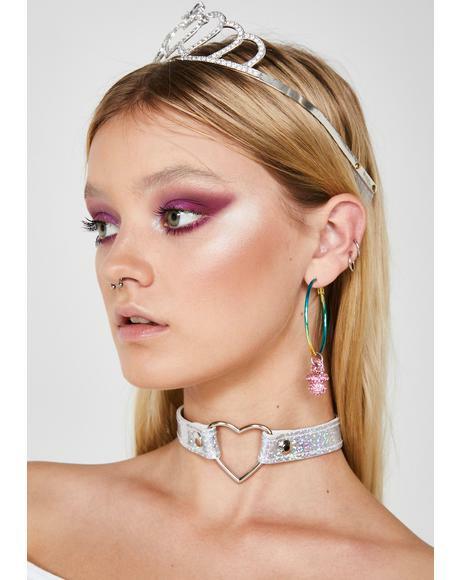 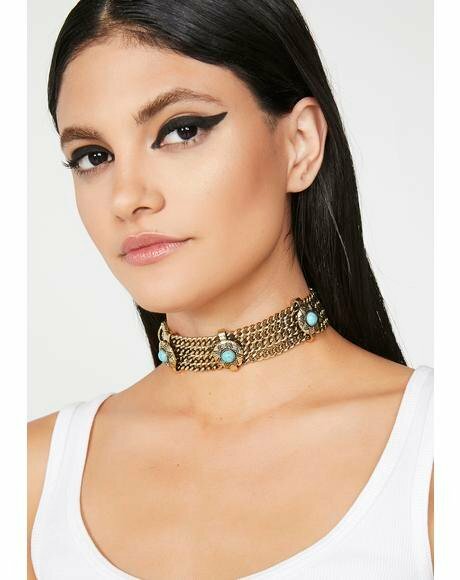 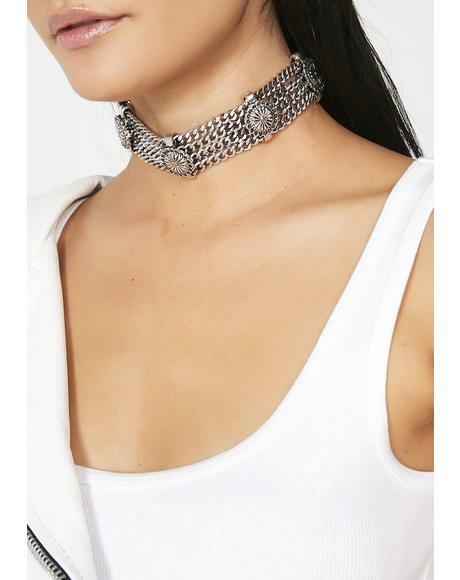 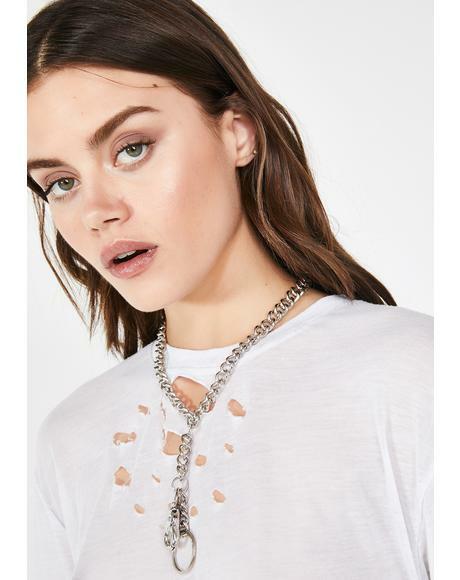 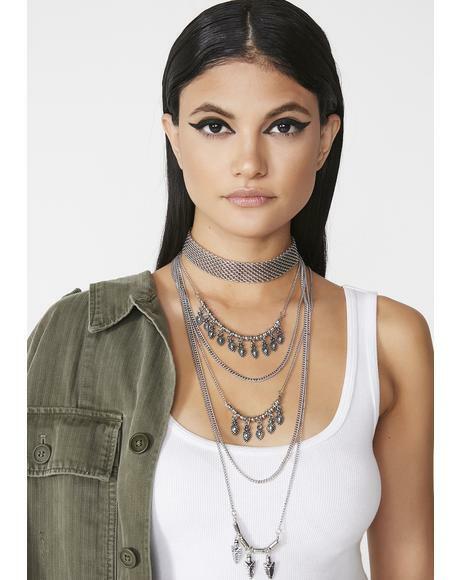 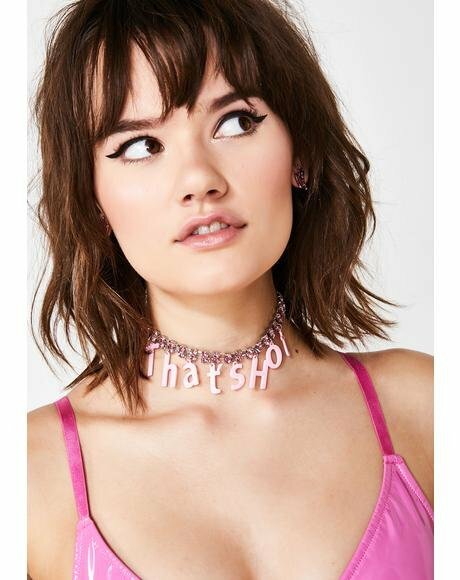 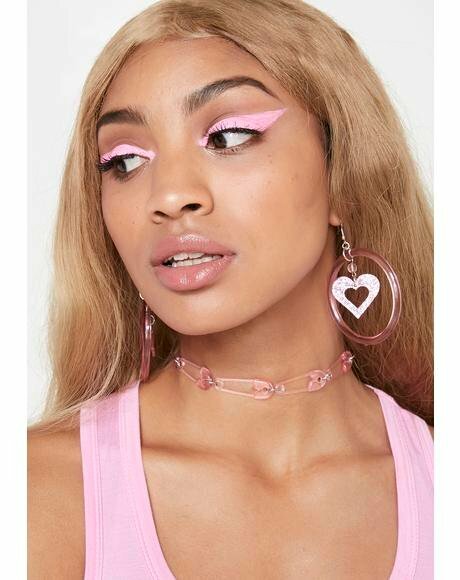 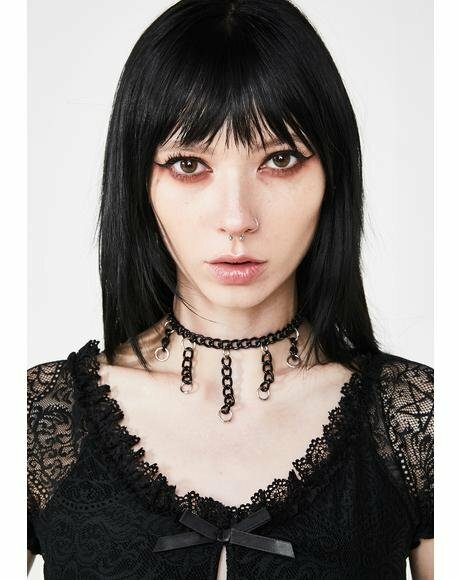 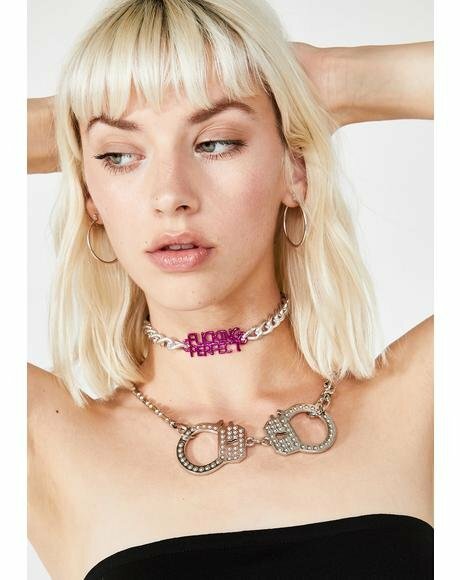 It certainly seems like it when yer wearin this really awesome choker. 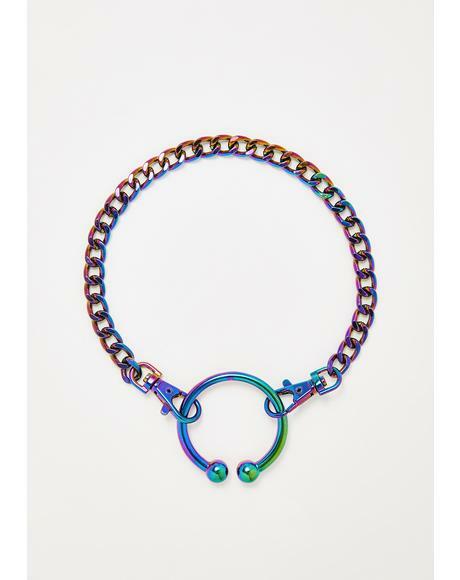 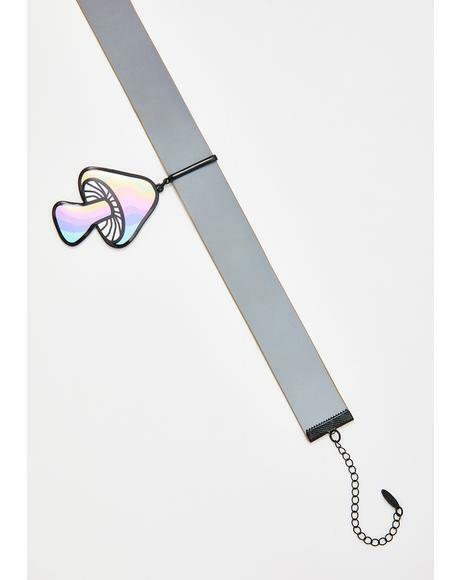 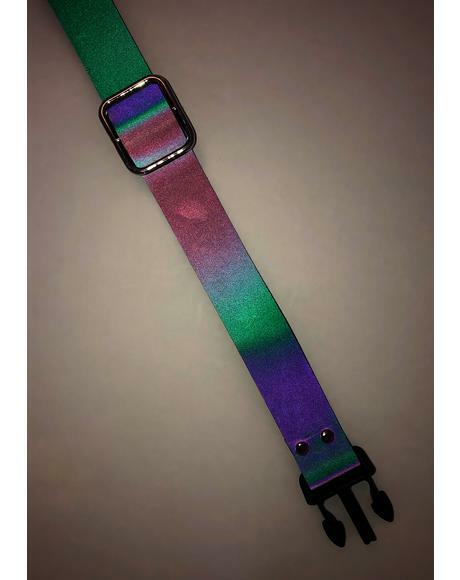 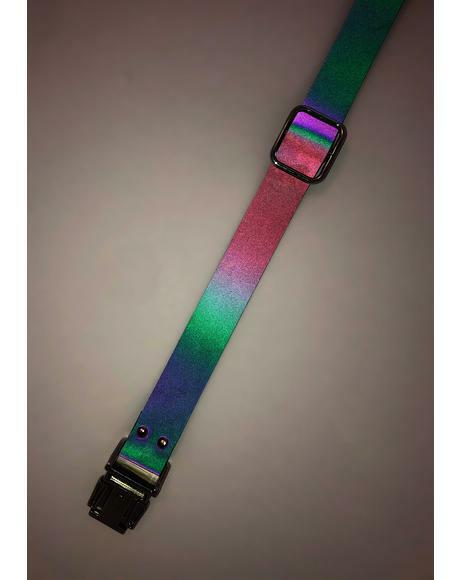 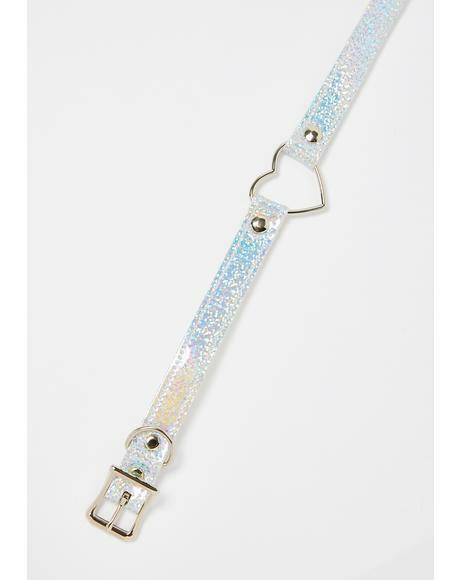 This BB is made from an ombre rainbow band that catches all the light you wanna catch. 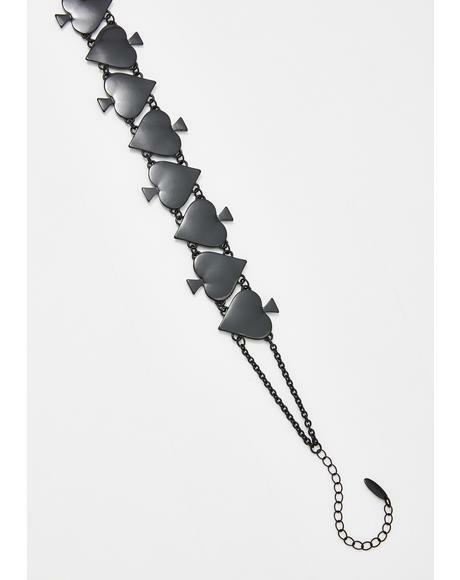 With its spikes detailin all the way round, this babe is bad. 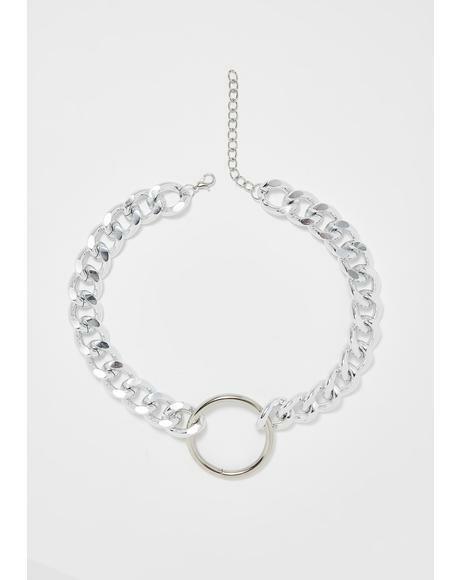 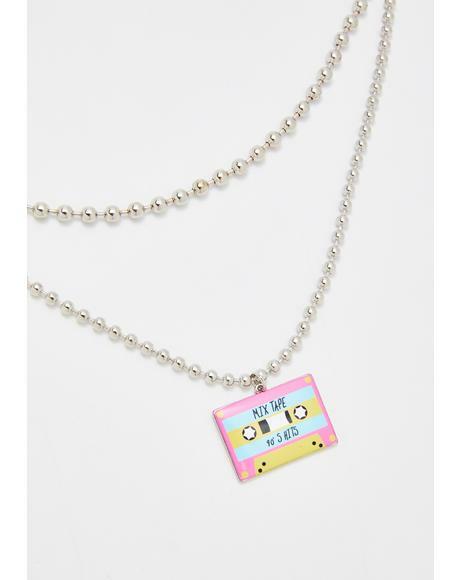 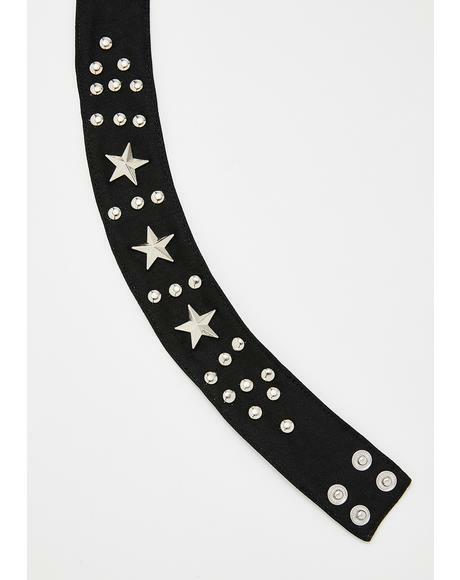 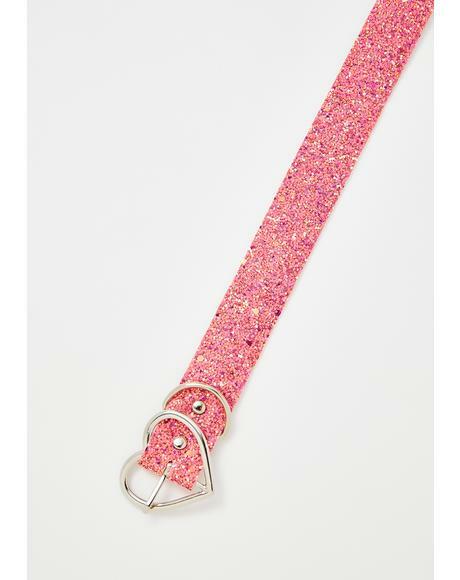 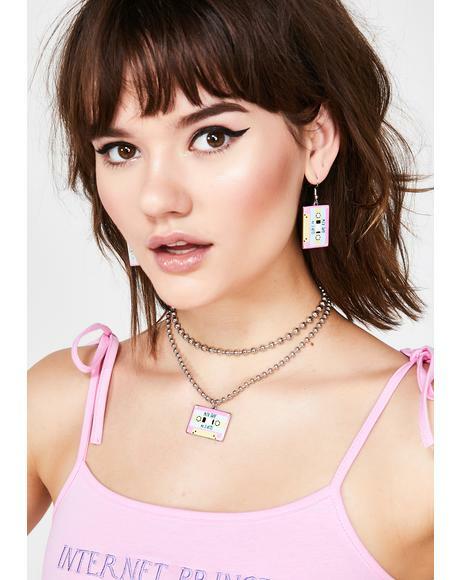 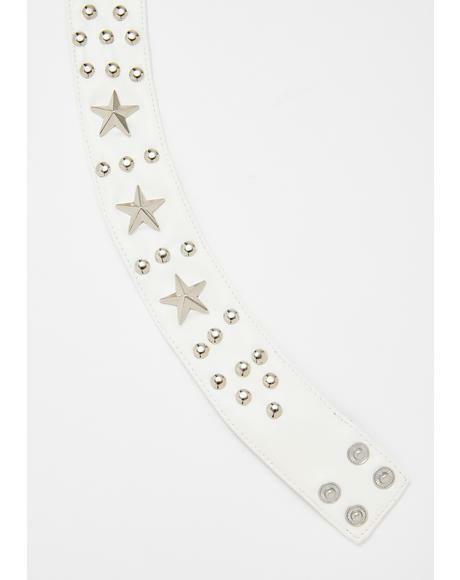 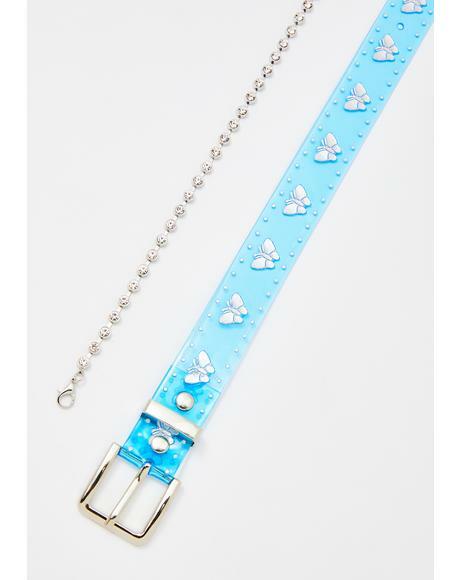 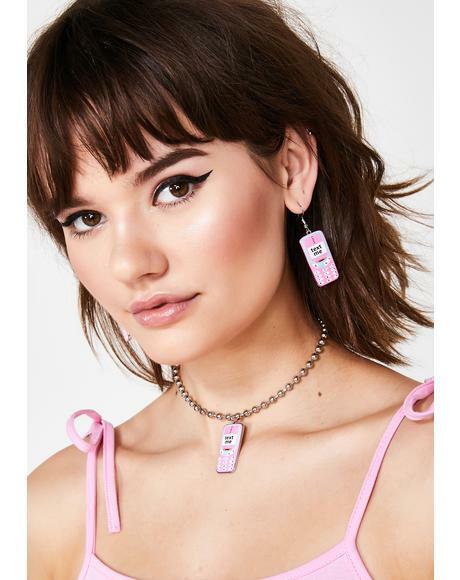 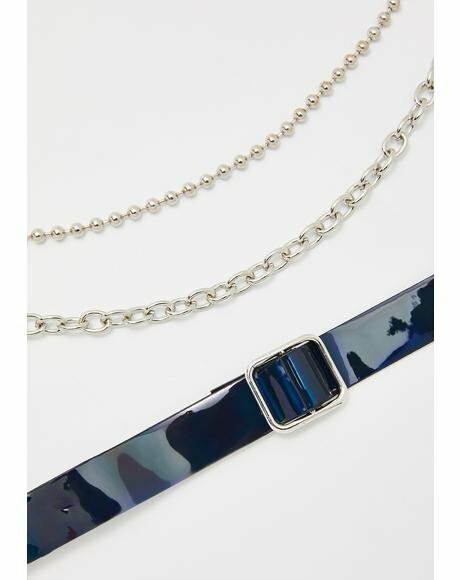 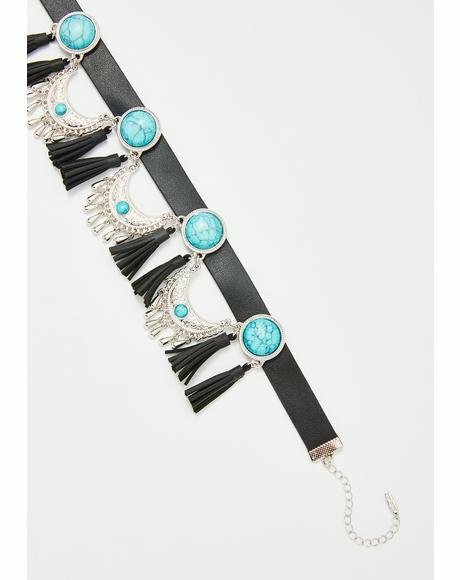 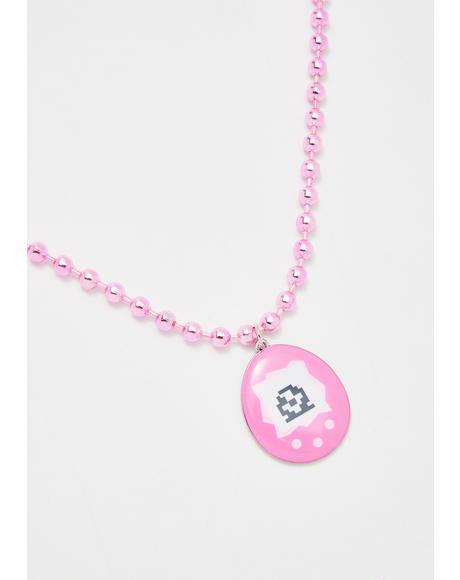 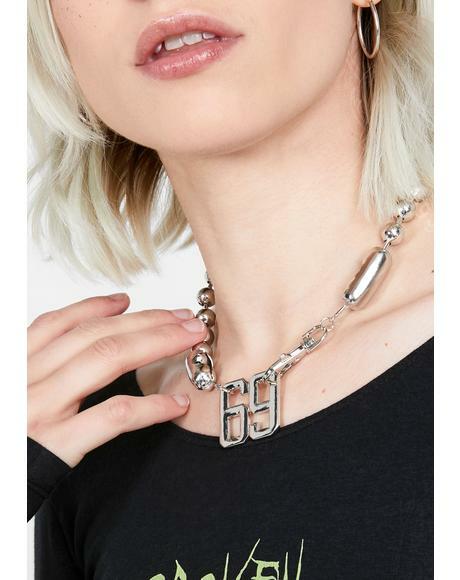 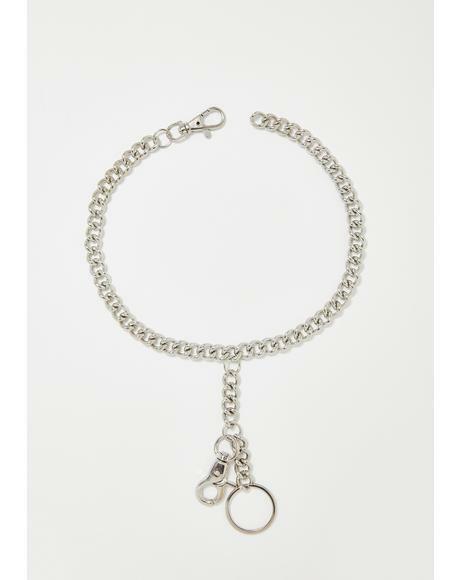 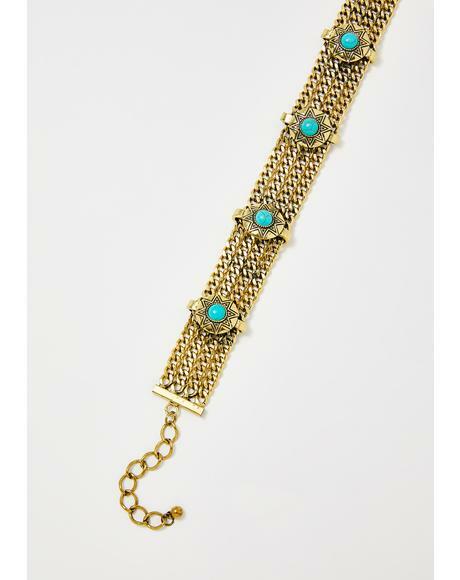 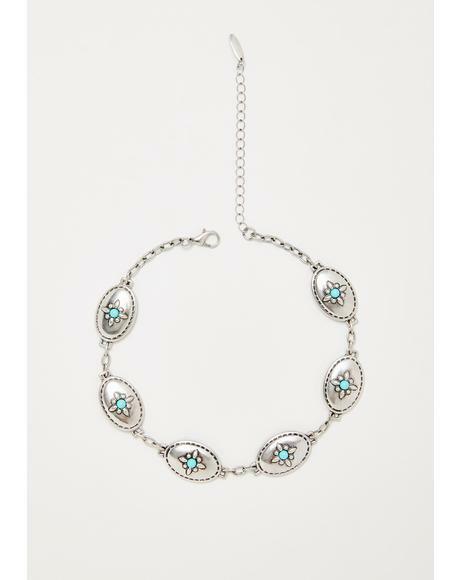 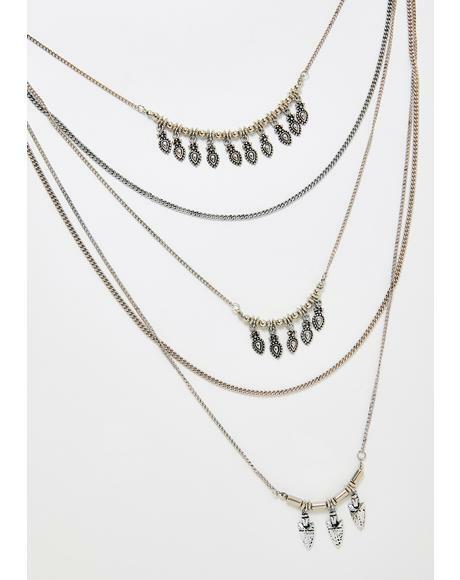 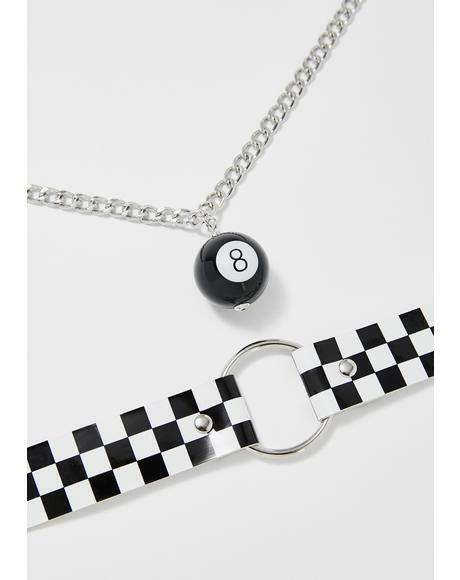 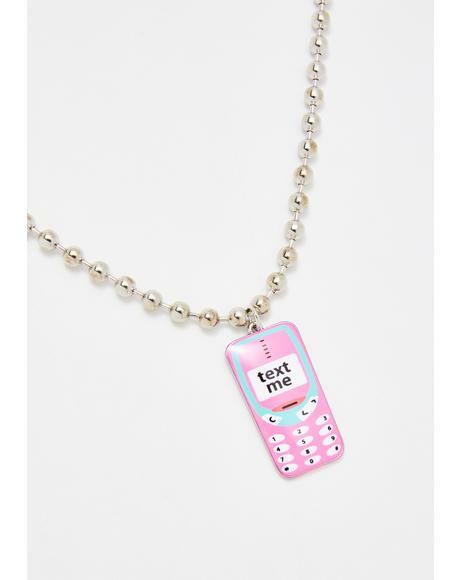 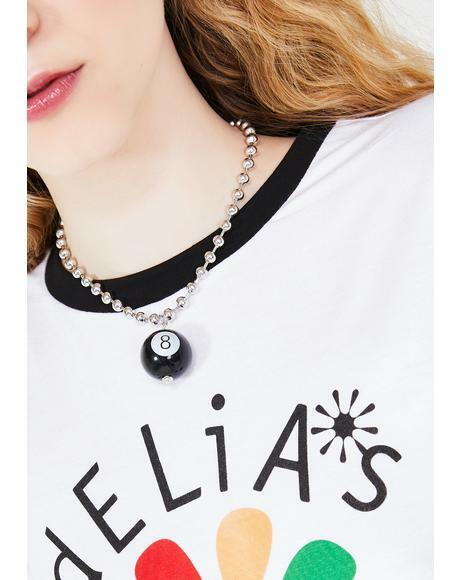 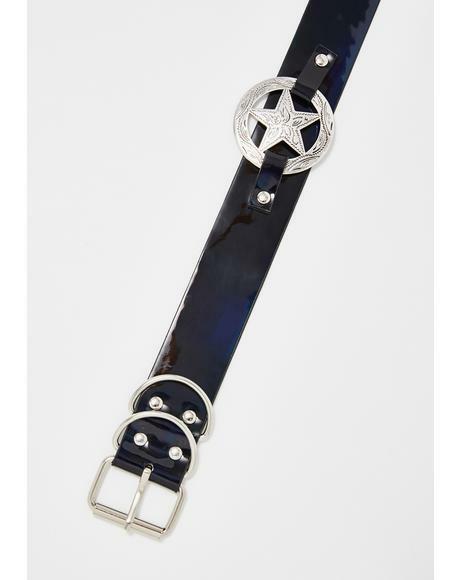 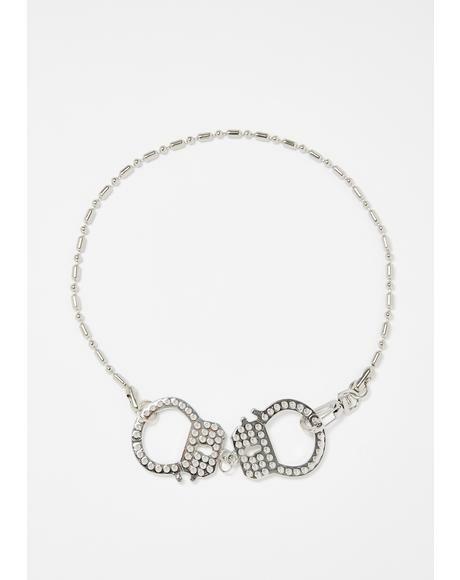 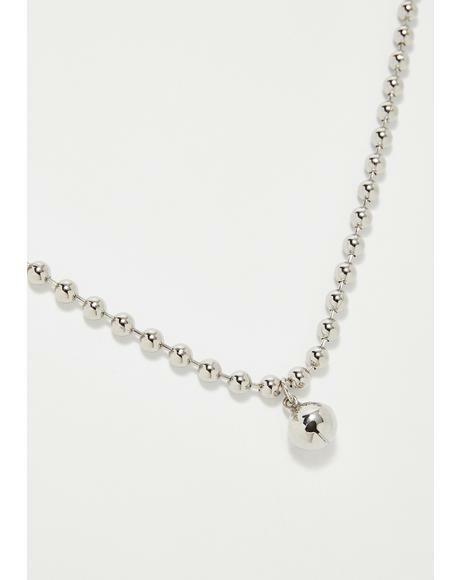 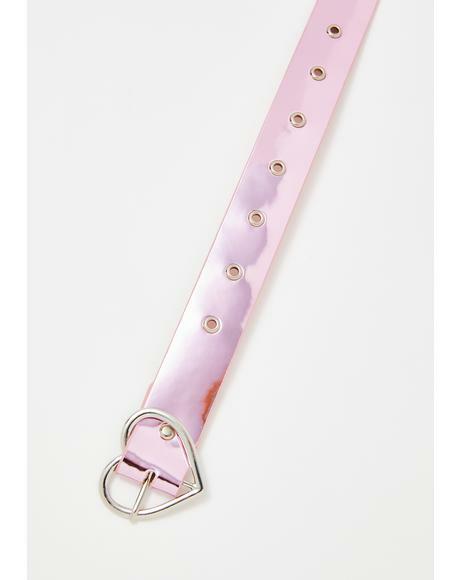 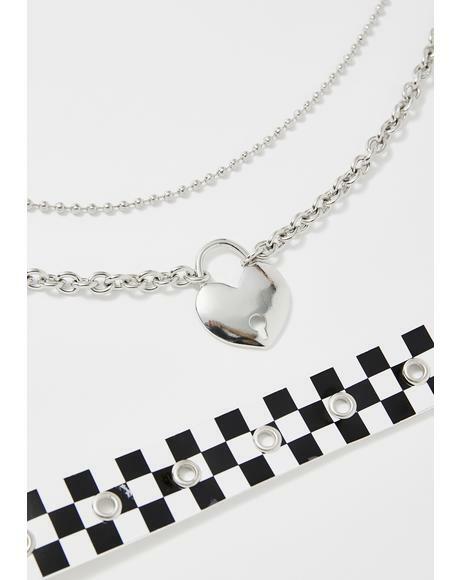 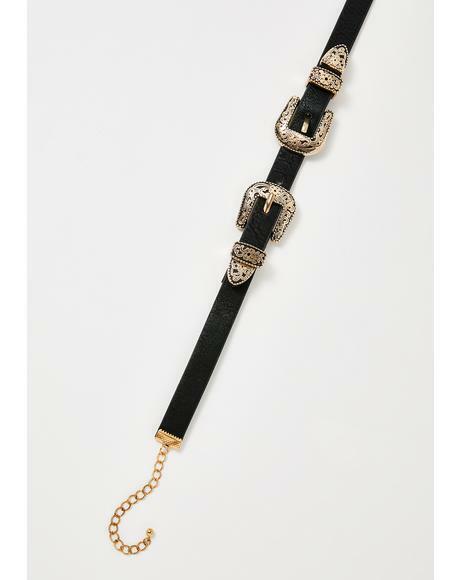 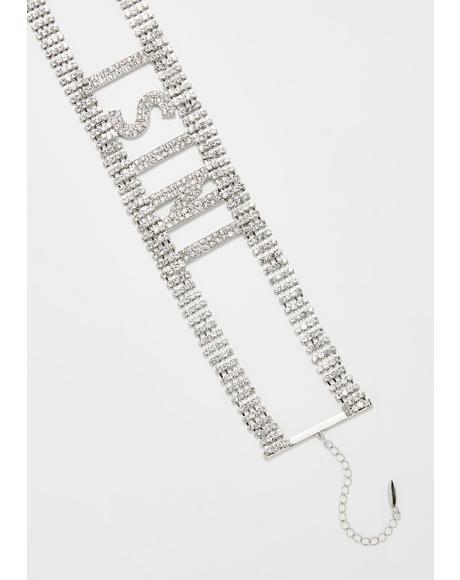 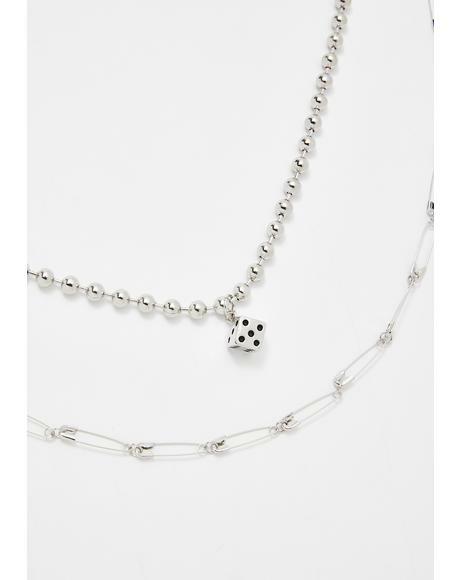 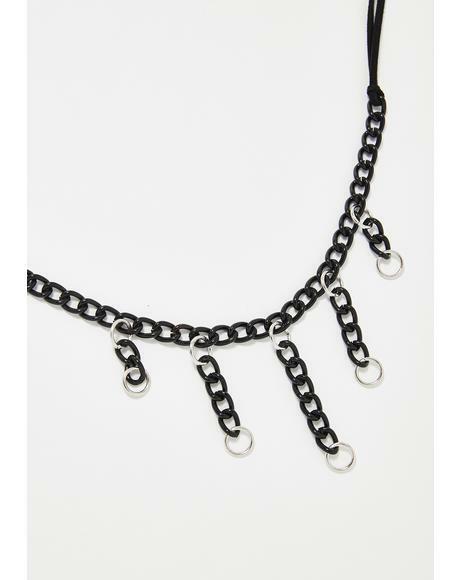 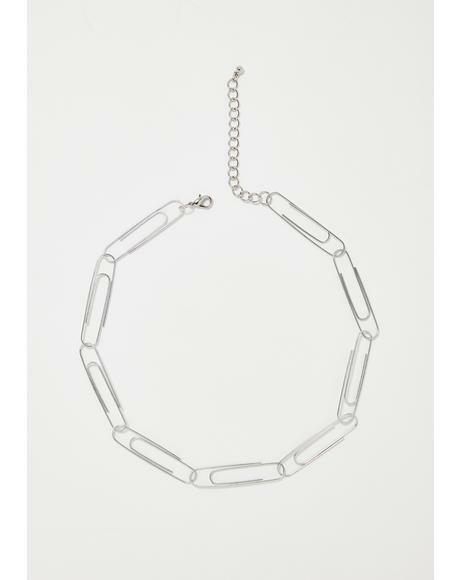 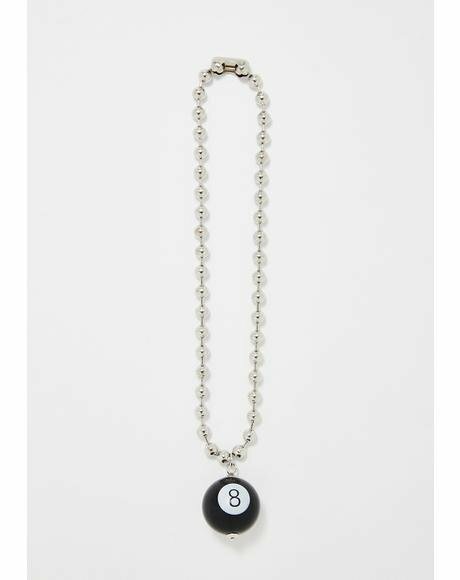 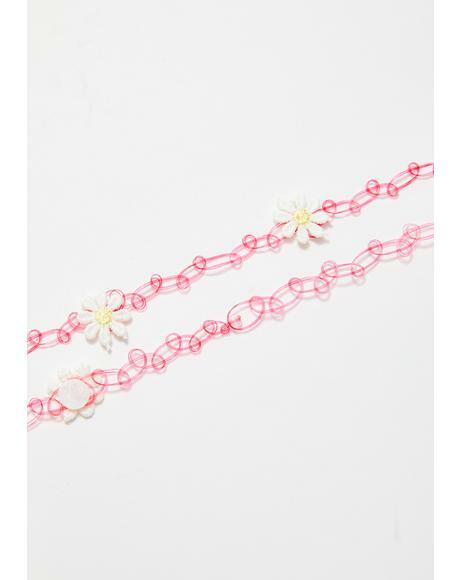 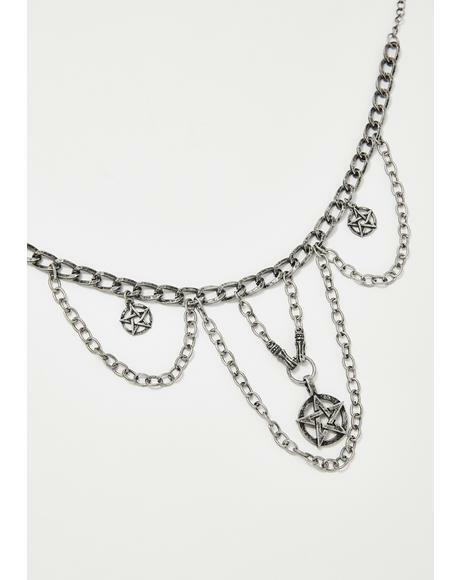 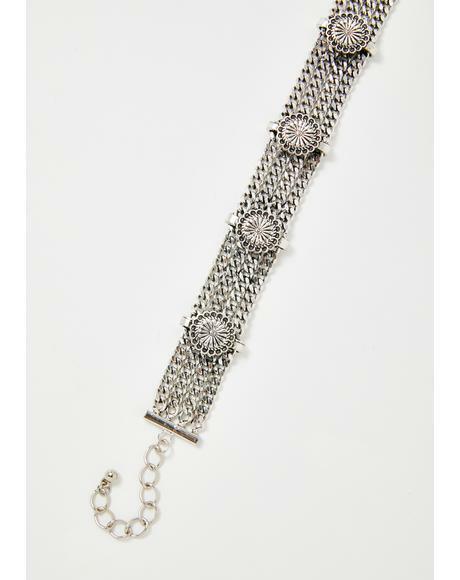 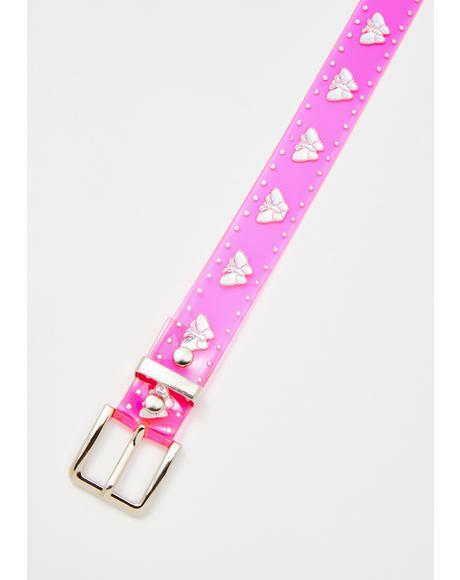 Featurin an adjustable buckle closure, this necklace really has everything going on which is perfect for a girl like you!